Hundreds of children and adults have told me how much they love Trouper, which makes my heart sing. Parents and teachers alike say their number-one reason for liking this book so much is that it teaches compassion without overly highlighting what makes Trouper different from his friends: he’s missing his back right leg. Beyond just falling for the soulful handsome Trouper and his friends, children might like the story because it’s simply fun to read (or heard read aloud). Not all poems rhyme, but this one does. When presenting Trouper to any group of children, I ask if they can tell that I wrote it as a poem, even though it no longer looks like one. Without fail, they tell me that’s obvious: they hear the rhymes. Some students say the words have rhythm. Yes! Not all poems rhyme, but this one does; and any good poem has to have rhythm. The original Trouper manuscript was written in terza rima, an Italian form that Dante used when he wrote The Divine Comedy. 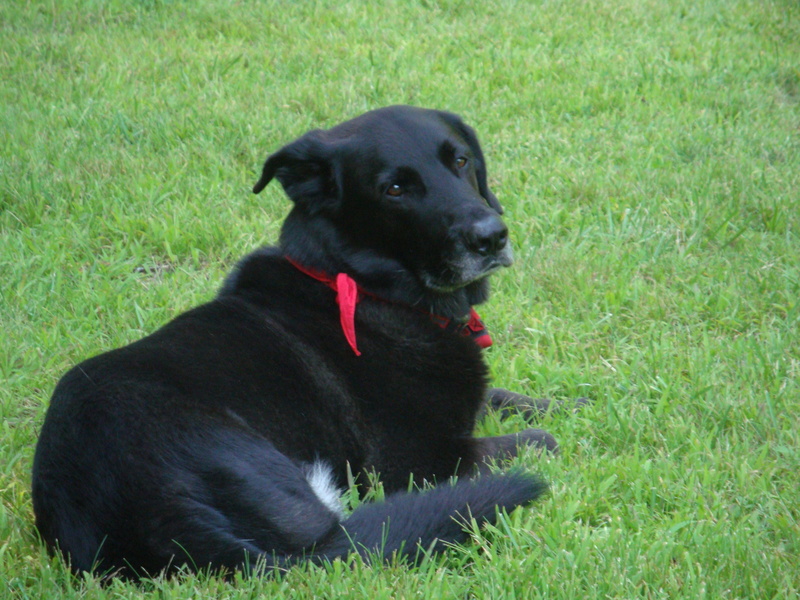 Early on, the form worked as my way in to telling this story about a three-legged dog; terza rima is written in tercets, or three-line stanzas. This might be taking the notion of form and content to an extreme, but it worked! Later on, once I was revising with my editor to spread the text over the thirty-two pages of a picture book, I wound up breaking the form for the sake of story—but much of the sentences and many of the rhymes remained. With Kindergarteners and first-graders, having them discover the rhymes on each page can be a fun way to teach about this simple poetic tool. For second graders and beyond, I see if they can remember any of the rhymes after hearing the story read—and then review a page or two if they’re stuck. But I don’t linger too long on this subject, as Trouper has more to teach about poetry (and writing in general) than rhyme. Most poets tend to use concrete rather than abstract language in their work, which is something even adult students who are newcomers to poetry need to focus on. The way into concrete language is through the five senses. After a quick review of these, I talk about how concrete words are ones we can see, taste, touch, smell, or hear; and sometimes we get two senses for the “price” of one word! Poems don’t talk about experience, they recreate it—as Robert Frost said, “No tears in the writer, no tears in the reader.” Through concrete language, poets are not only painting pictures in our reader’s minds (no need for illustrations! ), we’re also planting sounds, tastes, textures, and sounds—all of which make the story memorable. I ask students, what images do students remember from the book? They name all sorts of things, some of which come from the illustrations (e.g. Trouper on the boy’s bed), but many of which come from the words themselves. Inevitably someone mentions the stones thrown by boys in the beginning of the story, and the snow that Trouper and his pal run through at the end. Words like “stone” and “snow” are wonderful concrete words, as just by saying them we see a color (grey, white) and we feel something physical (rough/hard, cold/wet). Along the same lines, one could choose any other of the five senses and explore where they pop up in the story. Sound is a favorite—students remember dogs “howling and growling,” the dog catcher’s truck door “slamming,” and the woman at the shelter who “clucked like a chicken” when she first laid eyes on Trouper and his friends. These sounds stick with readers because they actually hear them as the story is being told—because they are concrete. Young people especially can find themselves full of powerful feelings and thoughts that they find difficult to express. I tell them, that’s what metaphor (and simile) is for! At what point in the story do we know that Trouper is very sad, and maybe a little scared and lonely? Every student raises her hand at this question, knowing it’s the moment when all of Trouper’s buddies have been adopted but him, and he’s left friendless at the shelter. Does Trouper actually say, “I was sad and scared and lonely”? No. What does he say instead? Working together, most students (especially third grade and up) can remember parts if not all of the line, “My heart was a cold, starless night.” Would the story have had had the same emotional impact if instead Trouper had used the words “sad” etc? Students also know the answer is No, and the metaphorical light bulbs gleam between their ears. There are all kinds of sad—it’s an abstract word. One could be sad because her helium balloon floated away, or because grandma is in the hospital. In order for anyone know what’s meant by “sad,” it has to be compared with something else. tomorrow it will be [a] __________________. This is just the beginning of writing poems with children—there’s so much more that can be done, especially with grades two and up—but this a great strategy for a fun and memorable start. This giveaway is for a copy of Trouper. Many thanks to Scholastic for donating a copy for one reader. For a chance to win this copy of Trouper, please leave a comment about this post by Wednesday, May 31st at 11:59 p.m. EDT. I’ll use a random number generator to pick the winner, whose name I will announce at the bottom of this post, by Friday, June 1st. 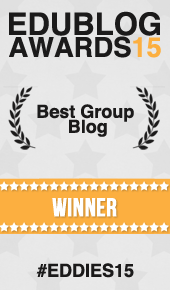 If you are the winner of the book, I will email you with the subject line of TWO WRITING TEACHERS – TROUPER. Please respond to my e-mail with your mailing address within five days of receipt. Unfortunately, a new winner will be chosen if a response isn’t received within five days of the giveaway announcement. Comments are now closed. The random number generator picked margaretsmn’s commenter number so she’ll win a copy of Trouper. I know exactly who I want to give this book to. I love the way Meg makes poetry writing seem simple and doable for students. We enjoy poetry so much more when we can try it out ourselves. I love this book and need to have my own copy. I used it this year to teach empathy for others. There is also a video clip from the literacy shed called “The Present” that ties in so well with it. I love the poetry extension and your blog! This looks like a delightful book on many levels. I love the metaphor structure you shared and will definitely be sharing it with my class. I also think the book would be great for sparking meaningful classroom discussions at the beginning of the year. Thanks for the great ideas! 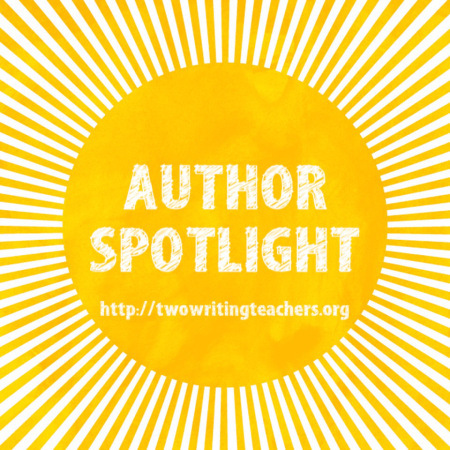 I love helping kids learn to find inspiration for writing in the every day bits of their life. This looks like a good book for helping with that! Dogs and children can be nothing but pure inspiration. What a wonderful book! I would love to have my own copy to share with students. This book looks like such a gem! don’t know how to do the email-only field! Thank you so much for this post! I love learning about new books, especially ones that can be used to support the learning of poetry! Fingers crossed…but if I don’t win, I will end up buying it anyway! I love the ideas about how to use this book with different shares, focusing on different objectives. Most students also love dogs! Loved the discussion of imagery and metaphor in the context of this beautiful story/poem. I can’t wait to read it!! I love the idea for using the book as inspiration for poetry. My students love any story that is about animals, especially dogs. Thank you for sharing these ideas! This post came at a perfect time. We are in the middle of a poetry unit with my 6th graders. Thank you for all of your great ideas! I am a collector of books about dogs – this is a MUST have for my collection. What a great connection for our students – especially as we talk about growth mindset. I must have this book. The ideas are awesome. Have not seen this book and love the ideas you have listed above! Will share this with my teachers and look for the book (maybe even win one!) to add to my collection of poetry for teachers to borrow along with your post tucked into the inside flap! Love Trouper and the rhyme but in this post I also learned about the video (avid collector of “backstories”) and tersa rima! What a great start to today! THANKS for so many practical uses! I love Trouper! Such a beautiful book! Great additional ideas to use in the classroom. Thank you for sharing! Would love my own copy!!! This book is one I must get my hands on! My students would love to hear it and the poetry lesson is perfect for my class. Thanks for sharing. 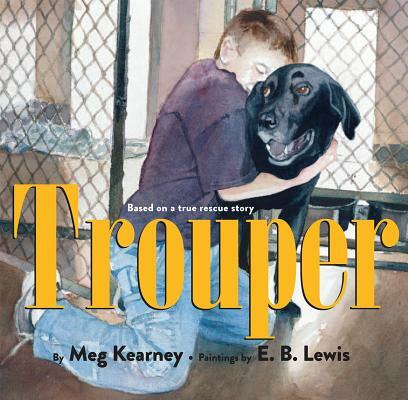 Trouper is a new-to-me book and now I must read iit and buy it for my classroom! I know my students would be fascinated and interested in this dog’s story. I love the suggestions for teaching poetry through this book. Thank you, Meg, for such a helpful post!